That handful of witches took off to the air! Those wonderful witches, they planted the seeds. Some 80 plus witches can brag that they’ve flown! Then grab your best broom. It’s as easy as that! And you don’t want to miss it, now trust me my dear! Our work now completed, it’s always a blast! For we witches are busy! Our work’s NEVER done! As our coven continues to grow every year, we have more fun but we also face new challenges with keeping the ride safe for us and our community. 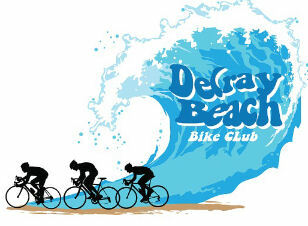 Once again, we are very excited to announce the Delray Beach Bicycle Club’s will be providing rider support for this year’s ride! If you’re not familiar with the Delray Beach Bicycle Club, they’re dedicated to helping the community develop the proper skills for bicycle safety and fitness. Together with Human Powered Delray, they share a goal to it make it safer, easier and more fun to walk and bike in Delray. 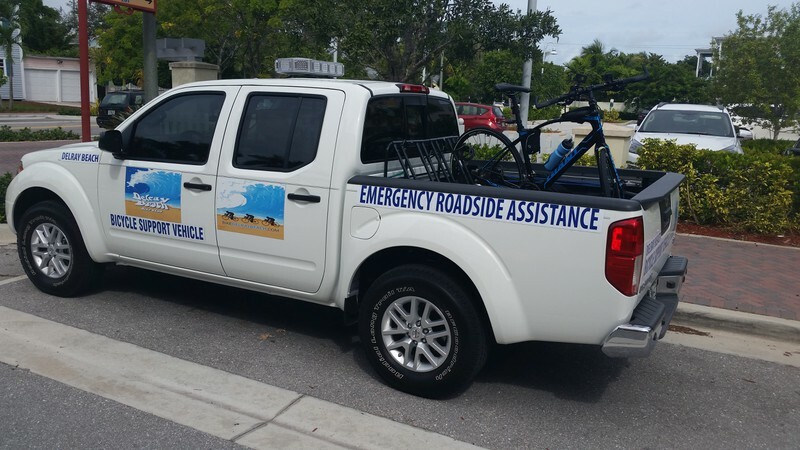 The efforts of these groups include community bicycle safety education for both bicyclists and motorist, community bike rides, and working with local and regional officials to improve safe biking and pedestrian-friendly roadways and paths in Delray Beach. The Witches of Delray represent our community and should do her proud by setting a stellar example of safe, responsible bicycling practices. This wonderful partnership will help ensure we do just that and have the safest and most fun flight yet! Thank you Patrick Halliday, Delray Beach Bike Club and Human Powered Delray for your tireless efforts for our community and your help and support with our 2016 Witch Ride! Any witch knows a smooth and stylish flight is all about the broom! And boy did this witch have it goin on! 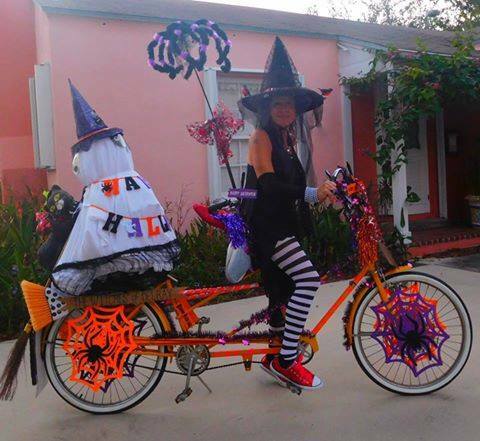 Check out Witch Lynn DaVanzo Korp winner of our 2015 Witches of Delray Best Decorated Broom award! She’s planning on stealing the award again this year so dust off those brooms witches! She’s a tough witch to beat! Have you been planing your most spellbinding outfit yet? 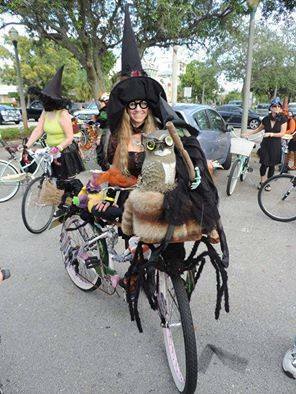 Check out WitchTara Mals winner of our 2015 Witches of Delray Best Costume award! Can’t wait to see what she conjures up this year!! Got a cackle that could raise the dead? We wanna hear it witches!!! Come out and compete against the stiffest cackle competition in the south! 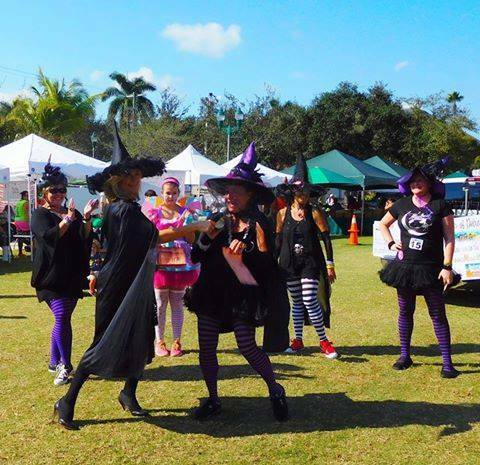 Check out Witch Anita Holland winner of our 2015 Witches of Delray Best Cackle award! She’s got a cackle that makes all her familiars cringe with delight! Can you beat it? The 2016 Route is out! Position your “familiars” along the route for photos of our flight. Once again, we can thank the Delray Beach Bicycle Club and Human Powered Delray for their efforts in helping us plan the route and keep us safe while in flight. 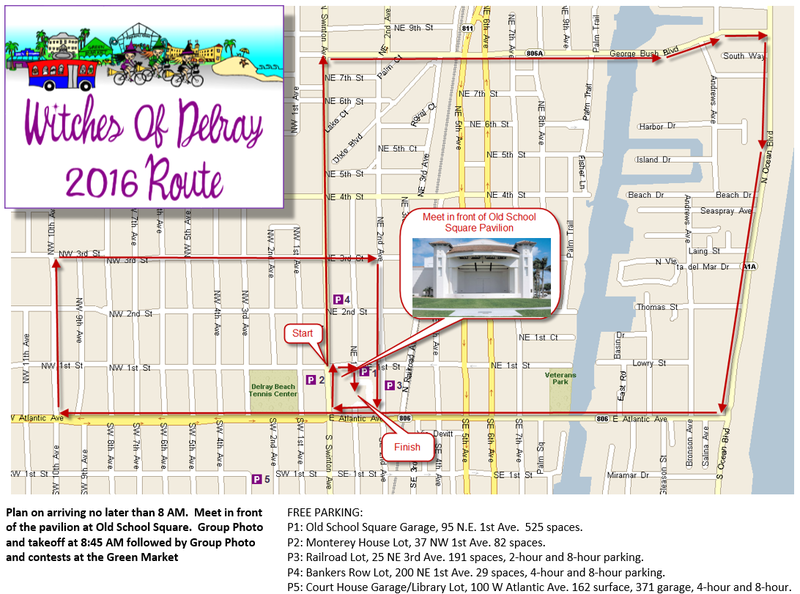 This year’s route is six miles and features scenic beachfront A1A, Atlantic Avenue and Swinton Avenue so there is sure to be plenty of exposure and fun. Tie your witch hats on and join us for the fun! Click the image below to view the route image. Want to print the route? Get a PDF HERE. 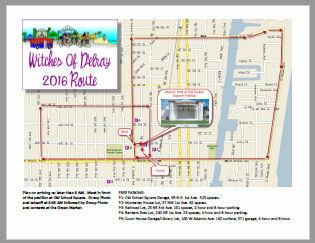 It’s that time of year again and we are gearing up for our 2016 Witches of Delray bike ride to benefit the Achievement Center of Delray Beach. below is downloadable, printable flyer for you to print post and share to promote our annual Witch Ride for Charity as well as the Witches Brew kickoff fundraiser at Tim Finnegan’s Irish Pub. More details are coming soon so stay tuned! We will be announcing our route and start times for the ride in the next couple of weeks. We are still gathering items/donations for our Witches Brew, so if you or someone you know has something you think would make a great donation please have them contact me Alpha Witch at alpha@witchesofdelray.org.